What remains of the temple which is dedicated to Lord Surya (Sun God) is a 100 foot tall chariot with wheels and horses carved in stone. Most part of the temple now lies in ruins. This temple was known as ‘The Black Pagoda’ due to its black color of the tower. During the time of the Muslim invasion in India, Odisha was constantly under siege, but the rulers managed to hold their fort. 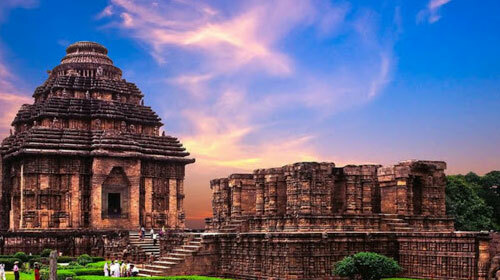 After most of the country was captured by the invaders, Odisha remained. It was believed by the people that they would lose to the invaders. But one king among them rose against the invaders and defeated them in war. He was king Narashimadeva I. In order to celebrate his victory over the Sultan, he decided to build a temple on the shores of the sea as in his early life he found this location serene. Hence, he built the temple there.